As we set out into 2019, we have an exciting and challenging year behind us. 2018 saw the concept of Othercide really takes form and turns into this magical thing we are all nursing to its completion right now. But it was far from easy! We started working on what has now become Othercide already back in 2016, together with a few members of the team. Initially we started out with the question: how we could make a tactical game where the characters would take on their own stories. We were a fair bit along in the negotiations with a publisher around this project before they ended, and we set out with pre-production in the fall of 2017. Back then we were calling the project “Band of Hunters”, with the setting being a dark version of current Paris. As the pre-production continued, we were forced to deal with the limits of budget and team, which together with a strong drive from Alexandre in terms of Art Direction and world creation ended up delivering us into the dark corner in a parallel dimension, and the name Othercide. Game design wise, we needed to strengthen the concept. The dynamic aspects of the tactical game we had brought were not yet clear enough so after lots of thought and iterations, we finally came up with a sort of turn-based system, but with no actual turns, only a time-line in which the actions played out. This was one of those moments when suddenly the parts of the game design that were logically difficult became obvious, and the dynamic aspect of the game became front and center. That was when the Initiative Sequence System was born. At that point, the energy of team was tangible. Full of confidence in our game design concept we started iterating and…well you know how it is, it’s not that simple. The summer period was coming, but stress was high on the team shoulders as we decided to go out of the blue and officially announce our game, and big time: at Gamescom! We only had a couple of weeks and worked very hard to deliver a compelling proof of concept. With shaking hands at first, we multiplied meetings with press and partners, met lots of amazing people (special thanks to our lovely neighbors the Robot Gentleman and Raw Fury). We had such a great time and when the first previews came up, we were super happy! Feedback were positive, press was interested by our game and told us they want to see more soon! 2019 ahead looks to be an incredibly interesting year. The team is strong, and we are excited of the response we get from players and partners we are showing the game to. There remains an enormous amount of work to get Othercide to be the fantastic game we know it can be, but we are full of energy. 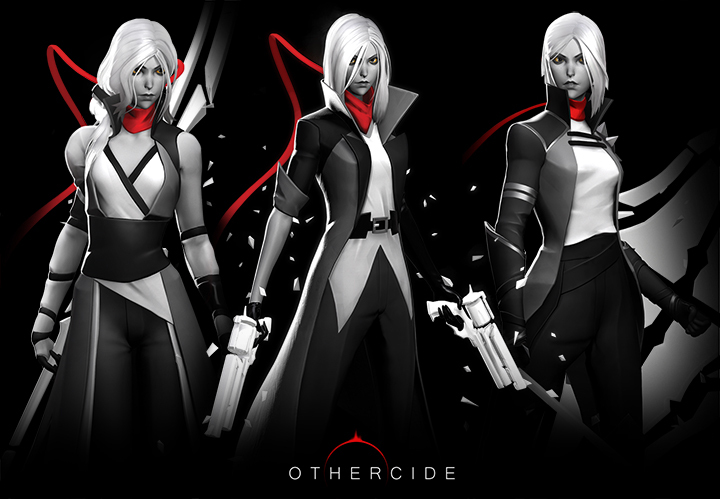 With the support of everyone interested in Othercide we are certain we will be able to do it!